Outside the Santa Fe Opera, a 62-year-old venue nestled in juniper-covered hills, retirees reclined by cloth-covered tables in the parking lot. As the August heat reflected off the asphalt, they tailgated with flutes of champagne. Soon, they would file in to see Doctor Atomic, an opera about physicist J. Robert Oppenheimer and the 24 hours before the first atomic bomb, which he helped create, detonated over New Mexico’s Tularosa Basin in the Trinity test. The downwinders ensemble gathers on stage in the final scene. Doctor Atomic has been performed in New York and San Francisco, but never before in New Mexico, where Manhattan Project scientists from Los Alamos Laboratory created the bomb. 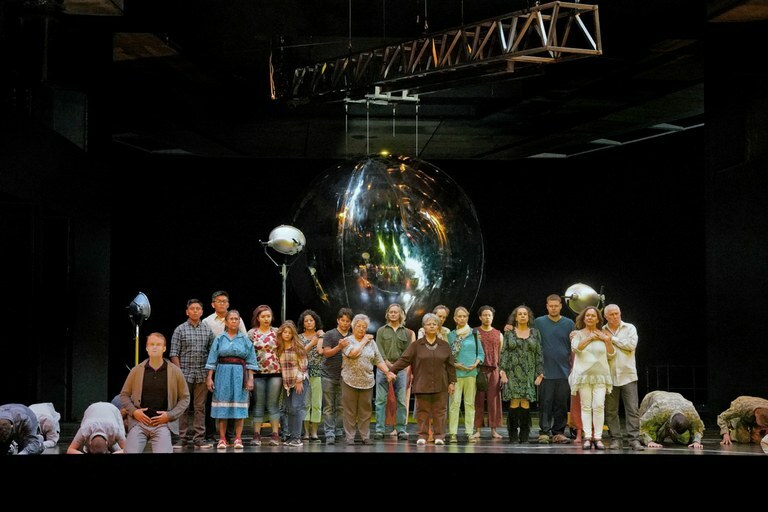 John Adams composed the opera in 2005, and Peter Sellars’s libretto uses declassified Los Alamos documents, focusing on the scientists’ perspective. This was the first time that downwinders — people whose families lived in the Tularosa Basin, in the path of the bomb’s radiation — appeared on stage during a performance. This summer, 73 years after Trinity, New Mexico’s downwinders are finally receiving some attention — onstage and in Congress. The Trinity test occurred at 5:30 a.m. on July 16, 1945, about 150 miles south of Santa Fe and the laboratory and only weeks before the bombings in Japan. It bathed the basin in light, creating a half-mile-wide crater. The Tularosa Basin Downwinders believe that blast’s radiation gave their families cancer, either from the air or through milk and produce, and that the diseases are being passed down genetically. 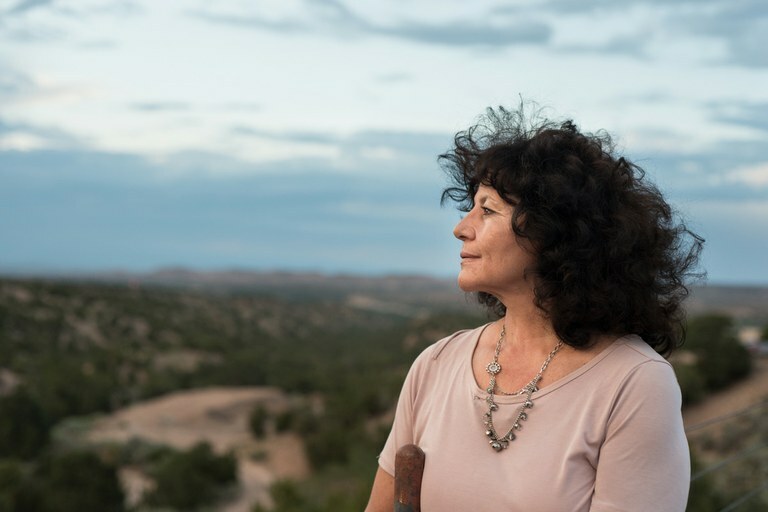 Tina Cordova, co-founder of the Tularosa Basin Downwinders Consortium, was one of the downwinders in the opera. In one scene, she and her niece stood near a giant chrome sphere that represented the bomb. It hung on a track, ebbing and flowing over the stage like a stormcloud, almost grazing her head. Before the last performance of Doctor Atomic, Tina Cordova overlooks Santa Fe from the opera’s deck. In 1945, thousands of people lived in a 50-mile radius of the test site. Frank Gallegos, born three years later, grew up in an adobe ranch house just 12 miles from the site. His parents told him that in the days after the explosion, they saw fallout drift from the sky and watched as their cattle’s coats faded from brown to white. “The government didn’t tell them nothing,” Gallegos said recently. “The population wasn’t great, and we were expendable if something happened.” Five people from the Gallegos ranch, including Frank’s mother, have died from cancer since Trinity. Cordova enjoyed appearing in the opera, but she wants federal recognition even more. In late June, she traveled to Washington, D.C., to request that Trinity downwinders and their families become eligible for compensation from the Department of Justice — something the group has sought for more than a decade. Cordova, who contracted thyroid cancer at 39, thinks compensation could change the lives of downwinders burdened by generations of medical bills. For some downwinders, the Radiation Exposure Compensation Act offers a path to payment. People who lived in certain Nevada, Utah and Arizona counties in the 1950s and ’60s, during nuclear testing at the Nevada Test Site — and who have been diagnosed with certain cancers — can receive up to $50,000 each. The 100 aboveground nuclear tests in Nevada made researching health effects, and justifying compensation, easier. But the act overlooks Nevada downwinders outside those counties, as well as downwinders affected by other atomic events. Cordova joined New Mexico Sen. Tom Udall, D, and representatives from Idaho, Guam and the Navajo Nation to testify in front of the Senate Judiciary Committee about expanding the act. According to Udall’s office, the amendments are pending, but keeping Congress focused on them is a struggle. And proving the effects of one 73-year-old blast isn’t easy. Whether Trinity caused high cancer rates in the past, and whether those cancers are hereditary, remains uncertain. According to Steven Simon, a staff scientist with the National Cancer Institute who is studying Trinity downwinders, researching radiation effects is “almost impossible,” especially in the Tularosa Basin. There are few regional health records from the 1940s, and the number of downwinders born before 1945 is dwindling. But even in New Mexico, prioritizing Tularosa Basin Downwinders is a challenge. The state has been shaped by the atomic industry: Today, nuclear labs employ over 20,000 people in the state, and the industry may keep growing. Heather McClenahan, the executive director of the Los Alamos Historical Society, watched Doctor Atomic with current and former lab employees. She appreciated the downwinders’ presence, but wished there had been more representation of the lab itself. In Doctor Atomic’s final scene, as the clock counted down to detonation, nearly the entire cast looked out towards the audience. The vocalists portraying Los Alamos scientists lay waiting on their stomachs, and the opera house began to rumble. Cordova and her companions were the only ones left standing.